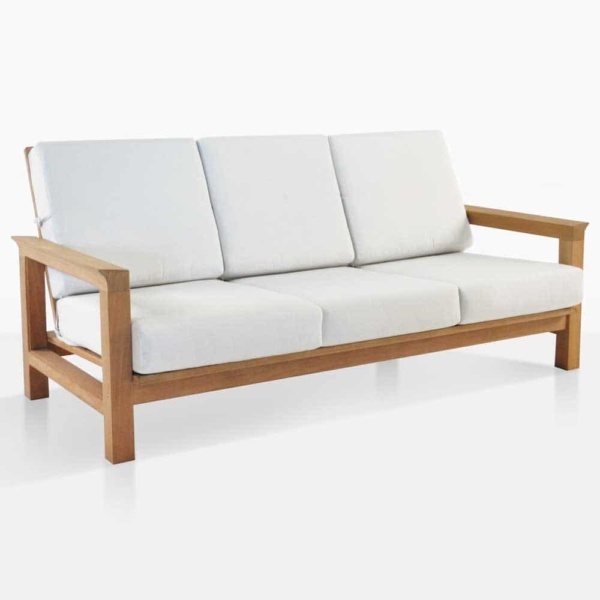 The Monterey three-seater Teak Sofa: Effortlessly cool. 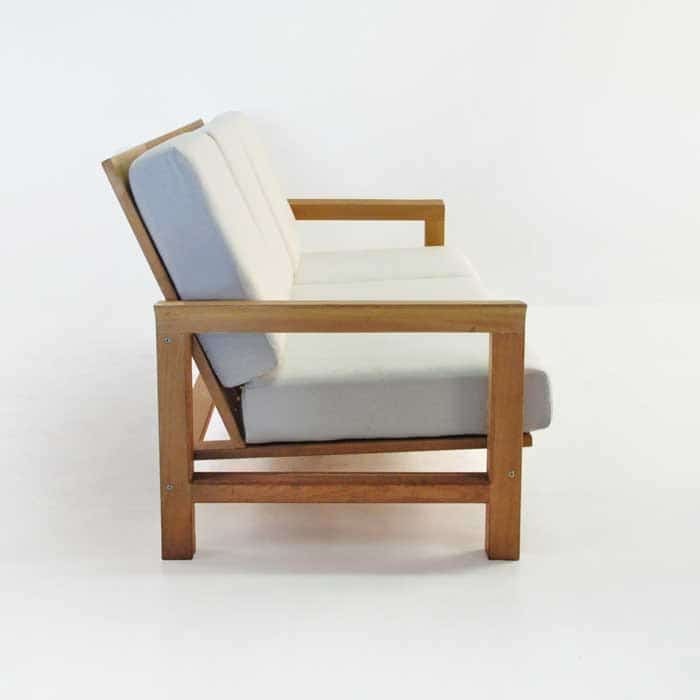 Modeled on classic principles; with sturdy architecture, a polished design that won’t go out of style, and – above all – comfort. 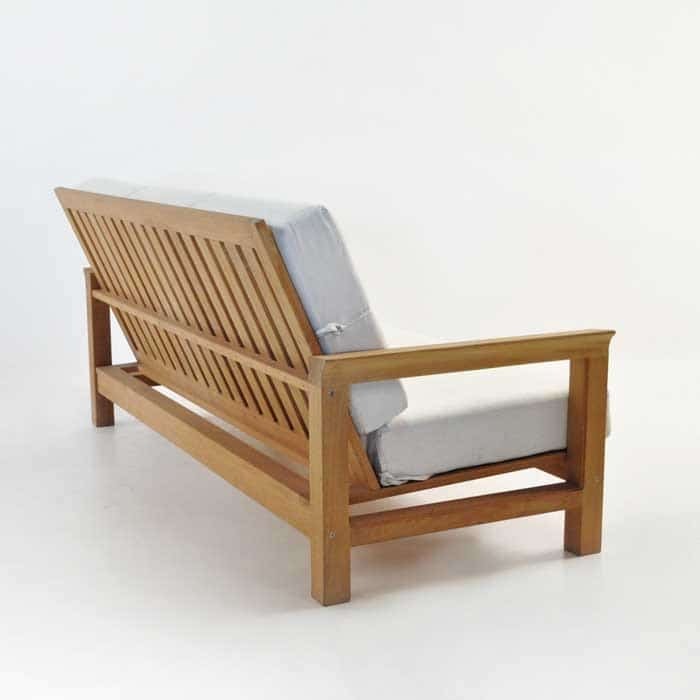 The entire frame is made out of Grade A Teak, with a chunky, thick base and refined angular arms, finished off with cushy, decadent Sunbrella® cushions creating an overall tranquil feel that you will want to spend all of your spare time enjoying! 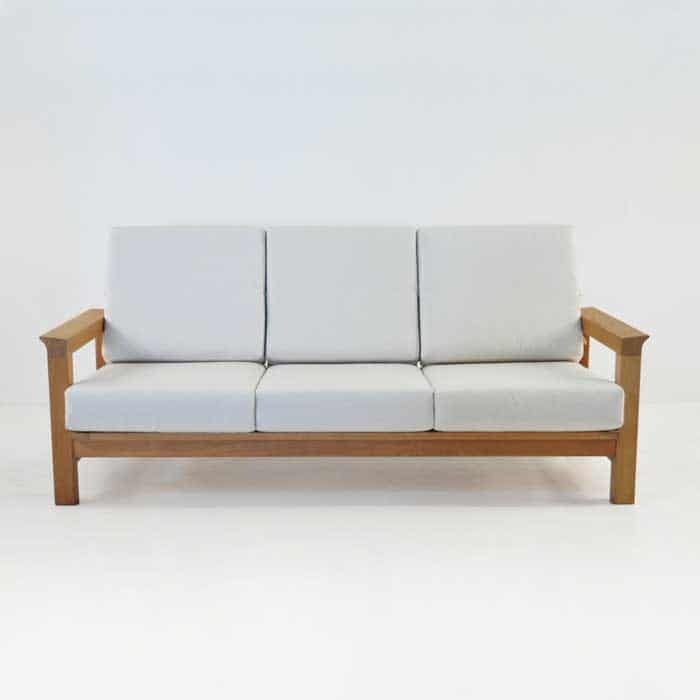 The Sunbrella® cushions, as shown, are included in the price of this elegant sofa. 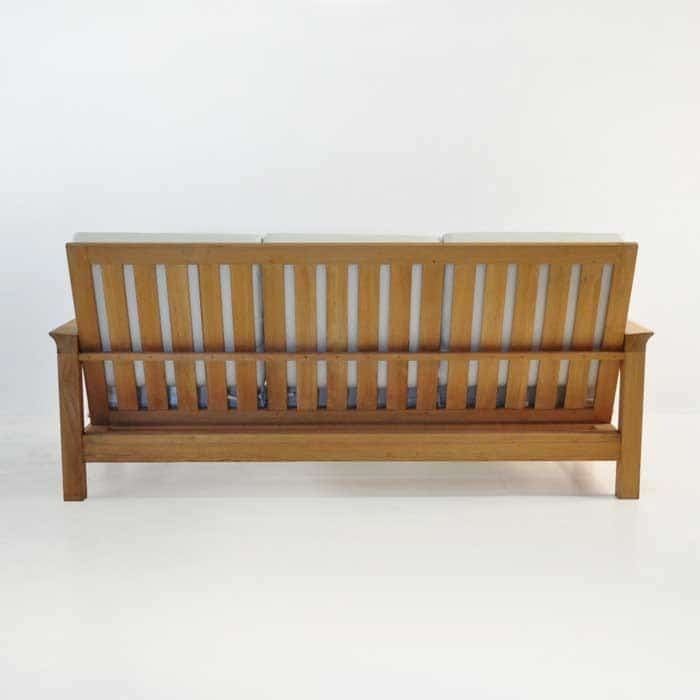 The Monterey Teak Sofa is a three-seater that is the core of the Monterey collection; standing at a majestic 201 centimetres wide, 97cm deep and 89cm high – an ideal piece for hosting friends or lying down in the shade surrounded by all the good things nature has to offer. Pair up this luxurious piece with a couple of Monterey Club Chairs, add the Monterey Coffee and Side Tables for the ideal area to host relaxed outdoor dinner parties, afternoon teas and create a welcoming space you will be proud to call your own. 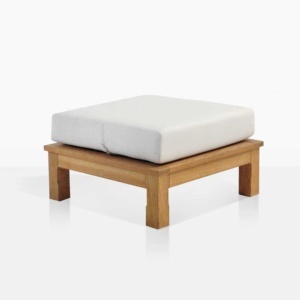 Features Quick Dry foam inside Sunbrella® fabric on cushions. 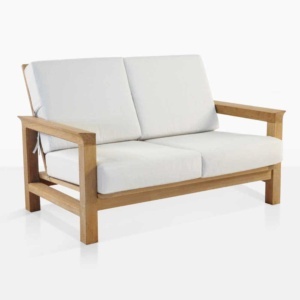 The Monterey Teak Sofa comes with FREE Sunbrella® cushions! 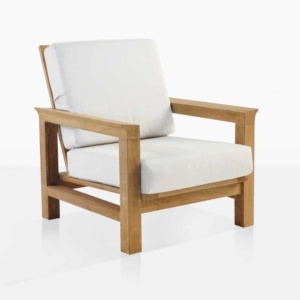 In store now in your choice of Taupe and Canvas so you can customize your space!